A solidly built case for your favorite 6- or 12-string acoustic guitar. The Fender Flat-Top Dreadnought Acoustic Guitar Case offers all the durability and style modern players require, whether they're in search of a sturdy on-the-road or at-home storage solution. 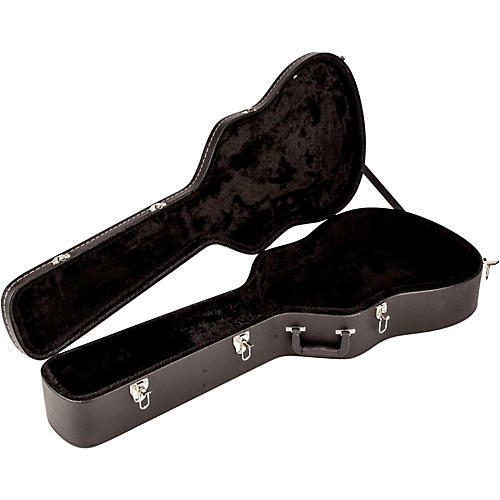 With its sleek black exterior and quality black plush lining, this heavy-duty protective case is built to withstand the rigors of the road and prevent damage to your acoustic instrument.